If you feel like veganism is getting more airtime lately, that’s because it is. The no-meat, no-dairy regime is now a household name. Natalie Portman is vegan. Ellen Degeneres is vegan. So is Madonna, and Jay-Z and Beyoncé once tried it for three weeks. There’s little doubt that veganism is increasing in popularity. And, just like many social movements in history, brands are looking for ways to meet the trend head-on. 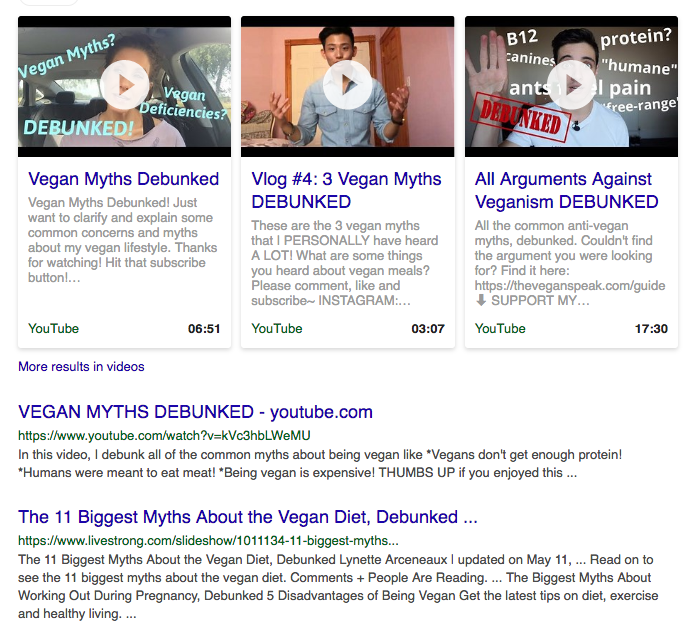 In this post, we’re going to look at what might have caused this rise in vegan coverage online, and especially at its prominence on social media. 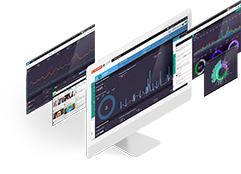 Plus, we’ll talk about what marketers can learn from these social media trends. To begin, let’s see just how large this rise has been. Prefer watching over reading? We’ve done a webinar on this exact topic. Watch on demand here. What was once a fringe movement has become so mainstream that big brands have been forced to create new products. Of course, companies have always been eager to jump on new trends. But unlike other recent food movements, veganism isn’t seen as just a passing fad. This is all in response to clear growth in plant-based eating habits. The number of people who describe themselves as vegan has reportedly risen 350 percent in the UK in the last decade, and 600 percent in the US in just three years! A vegan diet is fast gaining acceptance. 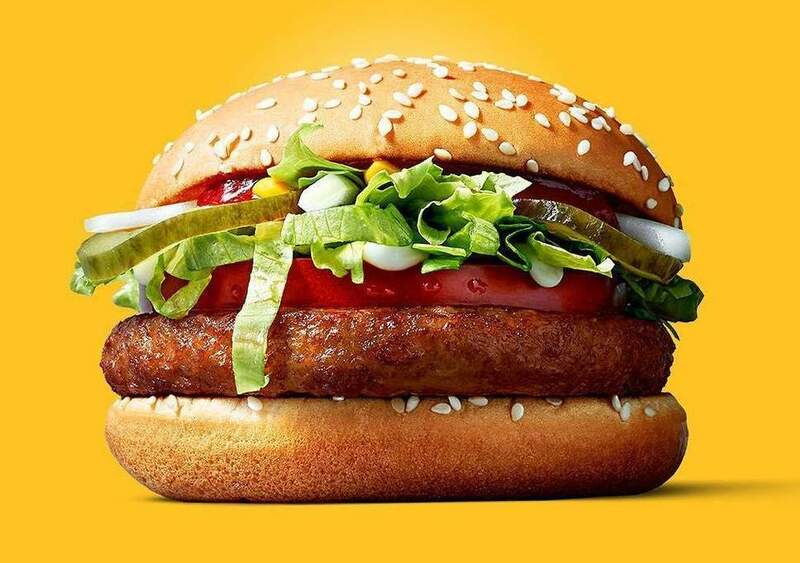 The Guardian stated that 2018 “is the year of mainstream veganism, as every trend forecaster and market analyst seems to agree.” Vegetarianism is rising too, and buyers in virtually every country are looking for ways to cut back on meat consumption. 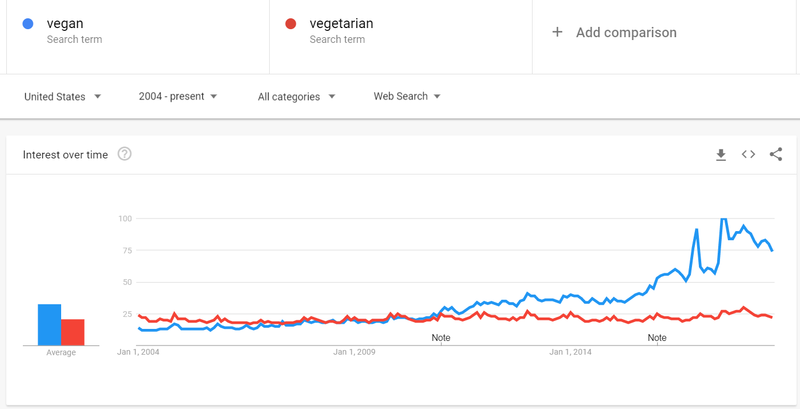 This doesn’t mean that vegetarianism is losing popularity - there are more vegetarians now than ever. But as a social movement, it hasn’t captured the same level of conversation as its plant-based sibling. So what makes veganism different? Why would one idea be chocolate, while the other is vanilla? These three communities represent the reasons or drivers for the rise of vegansim: 1) self-care and well-being, 2) health and fitness, and 3) animal welfare and sustainability. There are countless reasons why veganism might be trending. And we can’t pin the rise of any movement solely on a few factors. 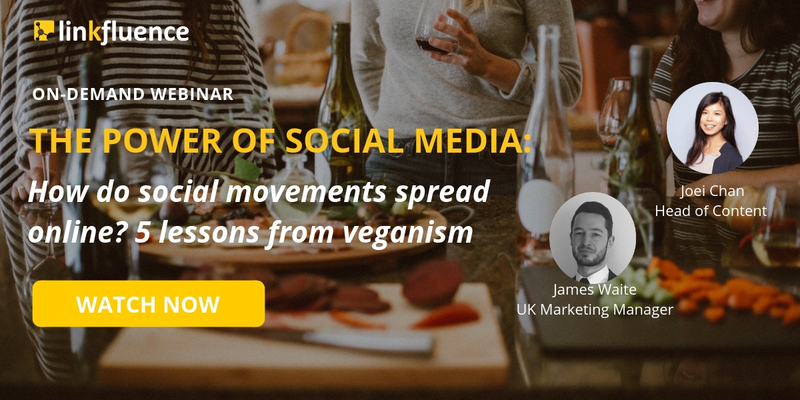 Although the vegan movement is mainly driven by health and environment conscious advocates, not all social conversations around the topic are positive. A lot of people are skeptical about the benefits and impact of the diet, and advocate against it. 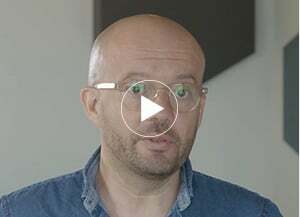 As this controversial topic touches upon health, environmental, social, economic, and political aspects of many people's (and animals') lives, debates over whether veganism is good or bad abound on the internet. Advertisers have always coveted the 18-34 age demographic. This group has money to spend, and hasn’t yet settled into firm shopping habits. In other words, we can win these people over. So any trend that favors this demographic needs to be taken seriously. And veganism is one such shift. Citing a 2017 study, Forbes argues that “the shift toward plant-based foods is being driven by millennials.” Younger consumers are more likely to care about animal welfare, the environment, and supply chains when purchasing food. A different, Canadian study found that more than half of vegans in the country are under age 35. 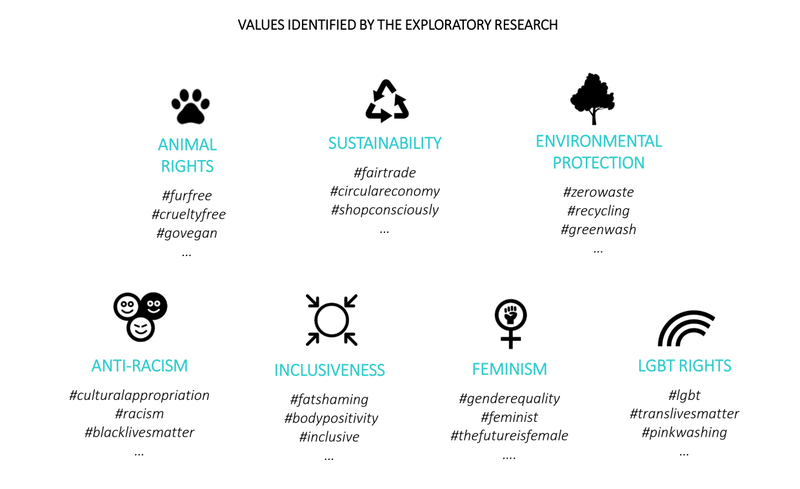 And we found that veganism fits three of the top 7: animal rights, sustainability, and the environment. Unsurprisingly, any movement popular among young people is going to feature heavily on social media. 88 percent of Americans aged 18-29 use some form of social media. So naturally, if vegans are more likely to be young, we’re more likely to see vegans on social. This is a simple confirmation that what matters to young people will matter on social media. And what matters on social media can be used by brands for marketing campaigns. As mentioned earlier, veganism is a relatively new and controversial topic. Despite its popularity, veganism is still not widely understood. Perhaps people recognize the term, but they still have common questions that aren’t always easy to answer. And for young people these days, social media has become a major source of information and answers. They may not trust advice from company websites, and the news is quickly losing trust with people of all ages. But they do trust their friends. And they love to watch users who’ve already transitioned to veganism. Find information naturally: Not everyone is looking for vegan information. But as they work through their social media feed, they may stumble across a new idea. This helps the social movement grow organically. Get inspiration: Veganism is still not the norm, and people are worried about failure. Social media is full of healthy, fit influencers giving advice to those who need it. 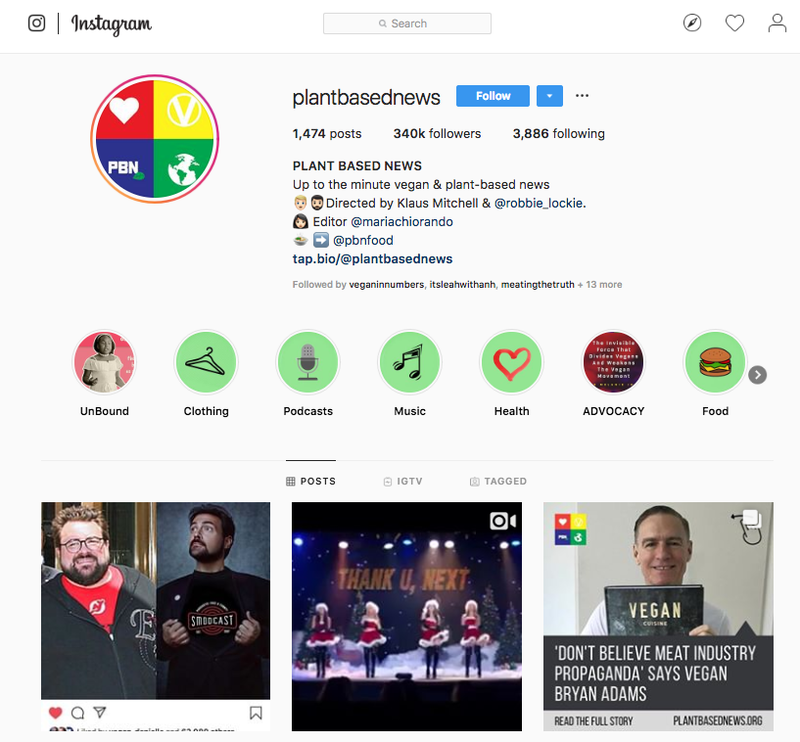 Since veganism favors young people, and young people use social media in part to find information, the vegan message spreads quickly on these platforms. There’s a clear desire to prove that veganism can be fun and interesting - not restrictive. And most importantly, that food can be just as exciting and delicious. 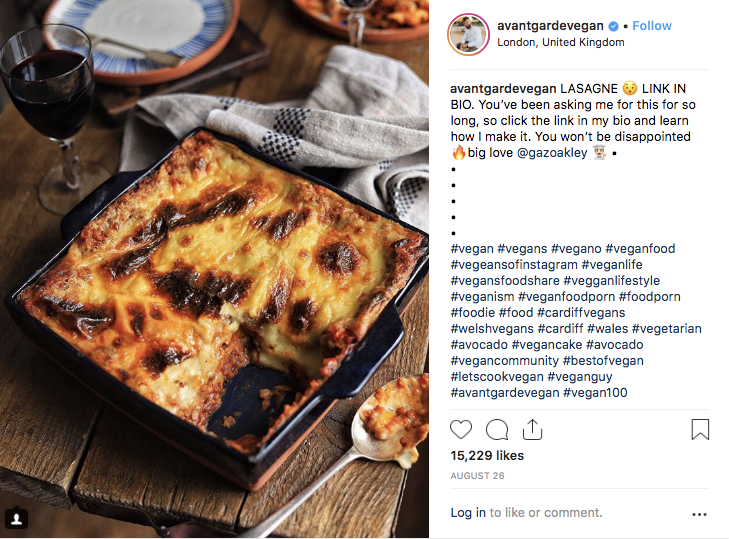 As Instagram becomes more popular, so too does veganism. But Pinterest also saw a 52 percent jump in pinned vegan recipes between 2015 and 2016. These image-based social platforms let vegans prove that the lifestyle isn’t as hard as it looks. 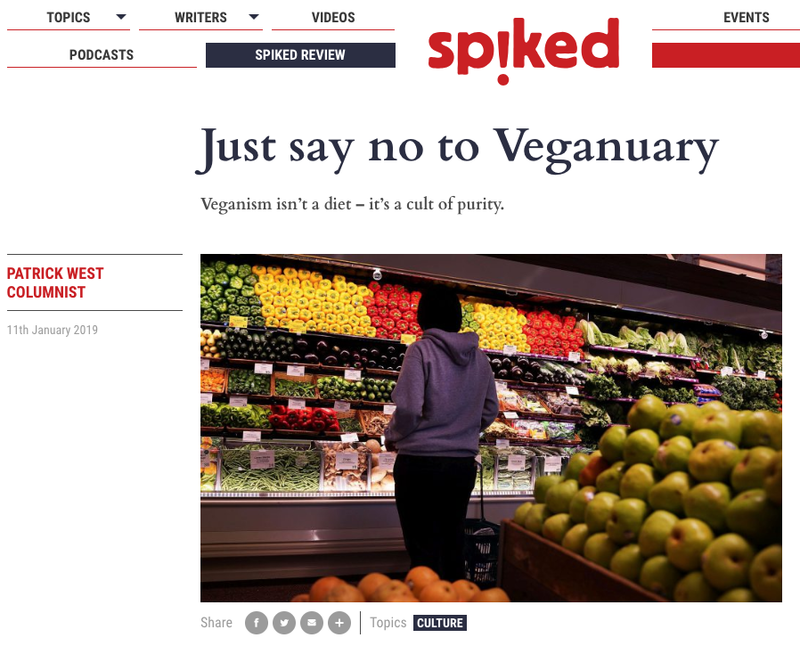 The clichéd vegan is preachy, tired, and annoying. But social media has let this community show that it can be interesting and enjoyable as well. 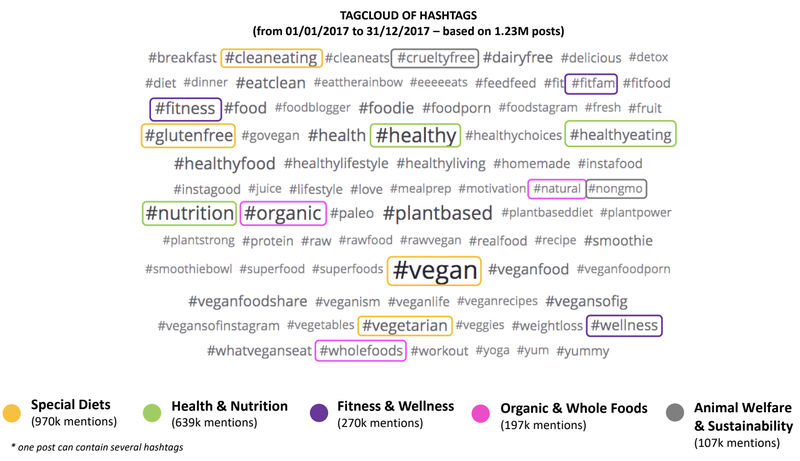 Are more young people talking about veganism because of social media? Or are more social media users talking about veganism because they’re young? We’ll need further studies to find out. But this does go to show the power of social media in spreading social movements, trends, and sentiment. In fact, we’ve seen a similar food trend explode on social media in recent years. Food holds a special place on social media. Users simply love to document, photograph, and share their eating habits with the world. To date, more than 126 million Instagram posts use the hashtag #Instafood. Among these, topics such as gluten-free, dairy-free, and cruelty-free (collective known as “living free”) are hugely popular. It’s not enough that your food looks good - it has to also be part of a regime or philosophy. And avocados fit right in. One of the best-known “superfoods,” they’ve become rapidly more popular over the last half-decade. Now, the avocado is the second-most discussed superfood on social media (after the coconut). And many of the reasons for its popularity seem to be the same as the vegan movement. First, it’s most popular among young people, with 63 percent of posts coming from 18-24 year olds. Second, it’s photogenic. 90 percent of social media posts about avocados include an image or video. Users are proud of their avocados, and want you to see them. And third, the avocado now comes with an ideology. It’s a superfood - every bite is packed with “healthy fats” and protein. In the same way that a vegan shares their ethical lunch with the world, an avocado enthusiast shows others the healthy choice they’re making. In fact, vegans and veggie enthusiasts are the most likely users to post about avocados, followed by fitness addicts. These are growing, increasingly powerful social media communities - full of sophisticated users producing quality content. The takeaway here is not to start producing exclusively vegan products. Although, clearly there’s a market out there. 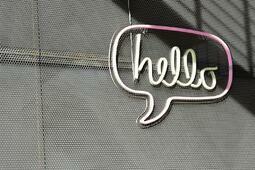 Social media lets you speak directly to buyers and prospects, easier than ever before. You want buyers to love and be proud of your messaging. That means you need to know how to build the right messaging for them. Learning about the values and issues your buyers care about helps you do exactly this. If you stand for a cause, your customers will fight for you. We’ve seen how powerful social communities can be. Information spreads organically through them, with a high degree of trust. So for brands, it’s essential to try to find these communities and reach them. You may be able to do this on your own. You may even already know who you need to reach. 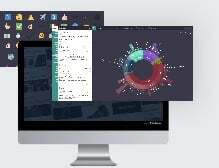 But good social listening tools can help you spot patterns based on the topics you care about. For instance, after the USA and UK, Australia talks about avocados most on social media. Coincidentally, Australia is also the third fastest-growing vegan market in the world. The point is, if you’re able to speak to these communities, you’ll be able to market your products to the right people more efficiently. 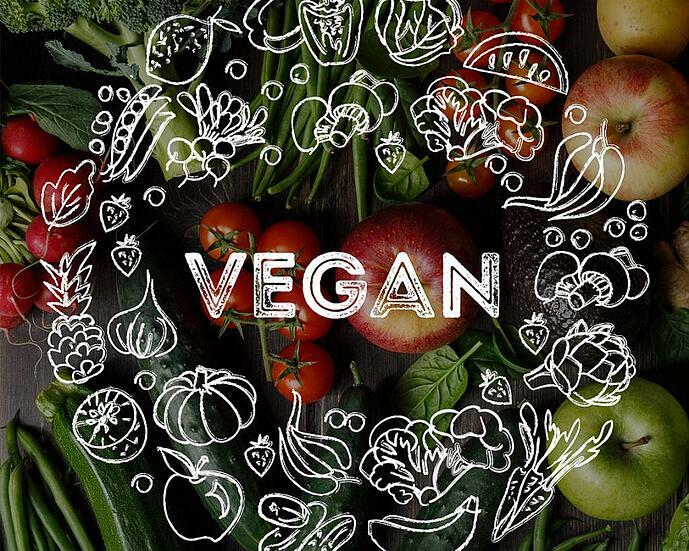 So much of the rise of veganism comes down to its Instagram-friendly appearance. A movement that is essentially about restricting what you eat has been able to appear exciting and even beautiful. If brands can do the same - present themselves as desirable - social media can become a major growth stream. The key here is the same as it’s always been: if you want organic social media traffic, you need to create things that people want to share. More and more, this means image and video content. The top viral posts on Facebook last year were almost all videos. A video tweet is 6x more likely to be retweeted than a simple photo. So visual social content - especially video - is pretty much essential if you want to have your posts shared. This is also exactly the kind of content that speaks to communities. If your image or video gets picked up and shared by the right people, you’ll be able to achieve the kind of reach that every brand dreams of. This was an exercise in understanding what makes things popular on social media. In the case of veganism, it’s largely because its followers are young, they need information, and that information is presented beautifully on social media. At their most popular, avocados displayed similar characteristics. So what does your social media audience look like? And how can you reach them most effectively? We’d love to help you find out.